There has been a lot of speculation concerning the next Los Angeles Lakers coaching position and there have been plenty of names thrown out there to replace Luke Walton after a disastrous season for the Lake Show. 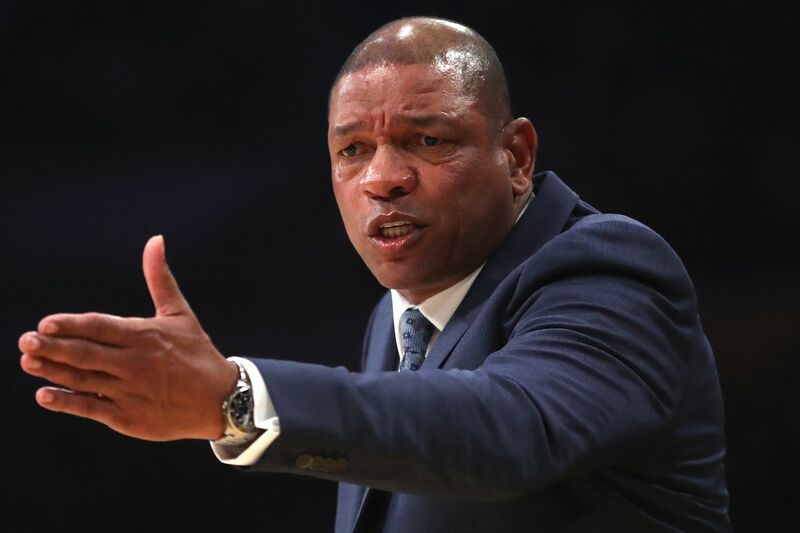 One of those names recently has been Doc Rivers, who coaches in the same building with the Los Angeles Clippers. Talk around the league has said that he’s always wanted to coach the Lakers (and Knicks) as one of his dreams. Before the Clippers played the Indiana Pacers last night, Coach Doc addressed the rumors and shut them all down. “Well, I have a job and the Lakers have a coach, No. 1, and I am going nowhere. I can tell you that. Straight and up front, I’m going to be here until [Clippers owner] Steve [Ballmer] says get out. I plan on being here a long time. Considering the other L.A. team is in a downward spiral and a complete mess, it would behoove Rivers to stay with the Clips. The team is currently 8th in the Western Conference and headed to the playoffs.